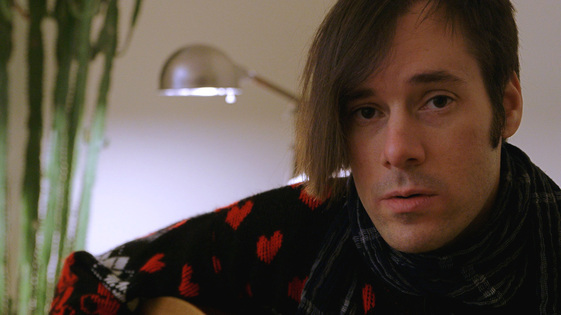 Evolving over time from a fairly pretentious Beatles inspired pop rock act to a theatrical mixed genre masterpiece, Of Montreal is one of the most prolific musical acts of the past twenty years. Since 1997 frontman Kevin Barnes and his menagerie of collaborators have produced an impressive discography of twelve studio albums as diverse as they are elaborate as well as a handful of EPs and compilations. 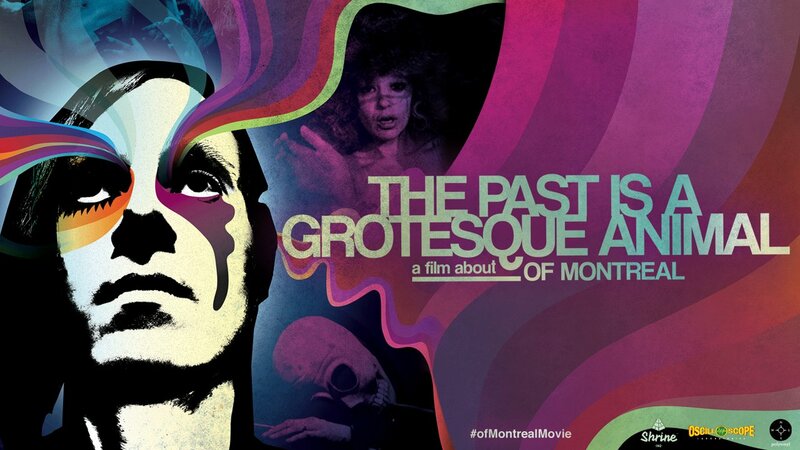 Directed by Jason Miller, The Past is a Grotesque Animal – a Film About Of Montreal was well overdue but, like anything Of Montreal, perfectly timed. Their last few albums have been what many have come to know them by, and still you would be lucky to come across a song of theirs on your car radio. This is a wonderful opportunity to look into the mind of the enigmatic genius who wrote, produced and often played every instrument. 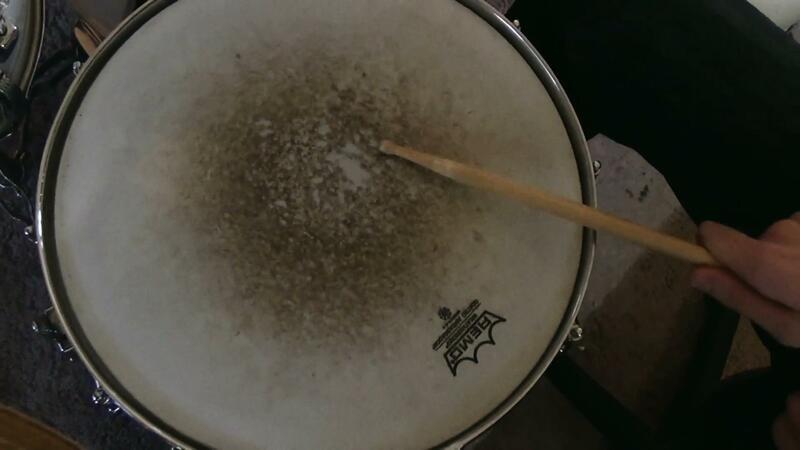 Barnes records one component of the drum kit at a time. 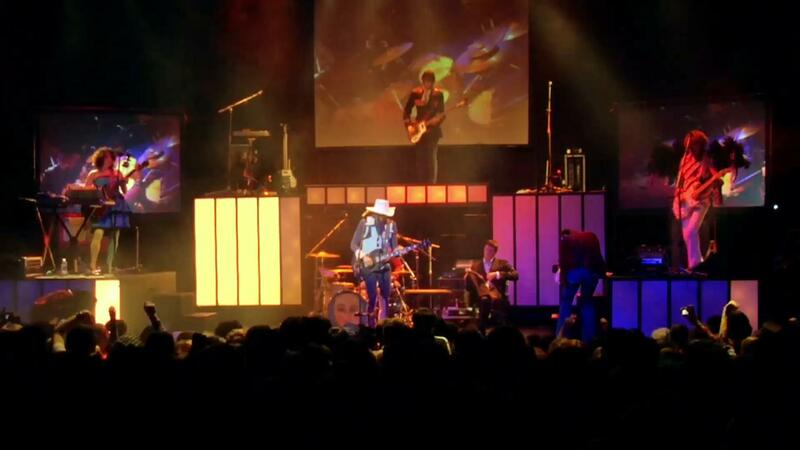 It is apparent throughout the film that the history of the band is complicated. It is an exhilarating train ride watching the passengers enter and leave through various turbulent emotions. Some leave on their on accord and others are “fired” not understanding why. The majority of the studio albums seem to have been meticulously performed entirely by Barnes, at times playing the snare then the kick drum then the cymbals. The collaborators were there for the tours of intricate live performances you might expect Andy Warhol to be behind. Then, for his most recent album lousy with sylvianbriar Barnes collaborated with new performers, something he rarely opened up to in the past. Miller follows this thread closely as we see a changing of the guard over night and suddenly the band is reborn, new members but the same title. Miller does a fantastic job capturing the energy of the live performances as well as the sordid oral history of the act. Leaving no rock unturned, he interviews collaborators even if they were only around for one early album. The film ends and ultimately we are faced with the age old description of the artist as a self serving genius, destined to be alone with his work. Destined to be judged by friends, family and the fans that will still thrive on his every note despite what they think of him as a human being. For those who have never heard of Of Montreal here is a track off the album False Priest. Directed by Jason Miller and Nina Barnes.